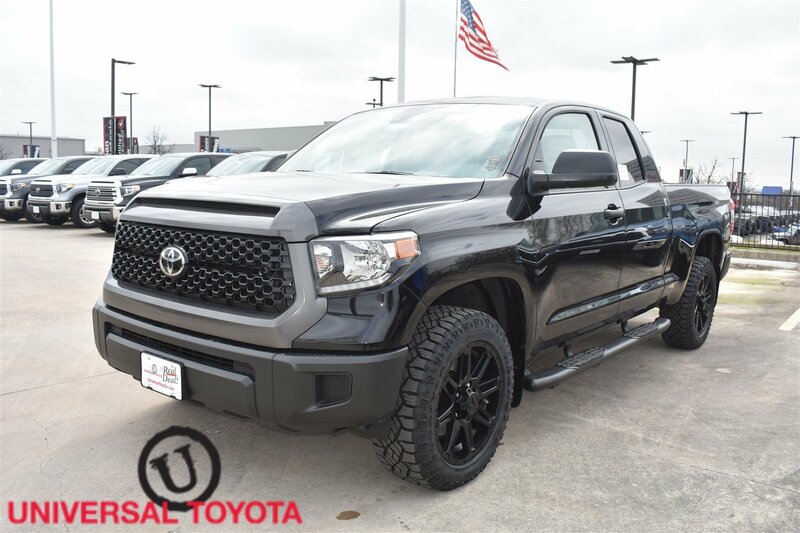 Wheels: 18 x 8J Styled Steel, Wheels w/Silver Accents w/Hub Covers, Urethane Gear Shift Knob, Transmission: Electronic 6-Speed Automatic w/OD, Transmission w/Sequential Shift Control, Toyota Safety Sense P, Tires: P255/70R18 AS BSW, Tailgate Rear Cargo Access, Systems Monitor, Steel Spare Wheel. 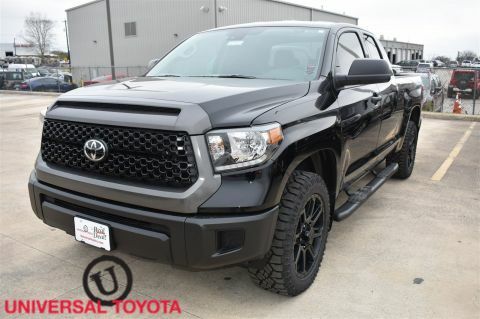 This Toyota Tundra has a powerful Regular Unleaded V-8 4.6 L/281 engine powering this Automatic transmission. 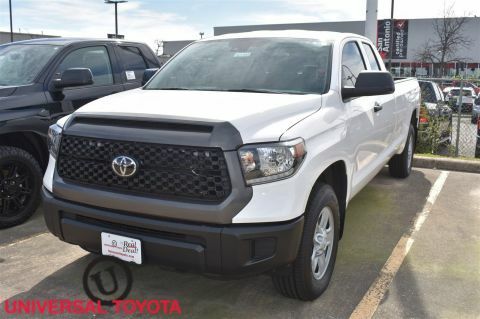 *These Packages Will Make Your Toyota Tundra SR The Envy of Your Friends *Splash Guards, Single Stainless Steel Exhaust, Side Impact Beams, Seats w/Cloth Back Material, Remote Keyless Entry w/4 Door Curb/Courtesy, Illuminated Entry and Panic Button, Regular Box Style, Rear-Wheel Drive, Rear Cupholder, Rear Child Safety Locks, Radio: Entune AM/FM/CD -inc: MP3/WMA playback capability, 6 speakers, 6.1 touch-screen display, auxiliary audio jack, USB 2.0 port, iPod connectivity and control, Bluetooth hands-free phone capability, phone book access, advanced voice recognition and music streaming, Siri Eyes Free and integrated backup camera display, Radio w/Seek-Scan, Clock and Speed Compensated Volume Control, Power Rear Windows, Power Door Locks w/Autolock Feature, Power 1st Row Windows w/Driver 1-Touch Down, Pickup Cargo Box Lights, Passenger Seat, Outside Temp Gauge, Outboard Front Lap And Shoulder Safety Belts -inc: Rear Center 3 Point, Height Adjusters and Pretensioners, Mini Overhead Console w/Storage and 3 12V DC Power Outlets, Manual-Leveling Fully Automatic Aero-Composite Halogen Daytime Running Auto High-Beam Headlamps. 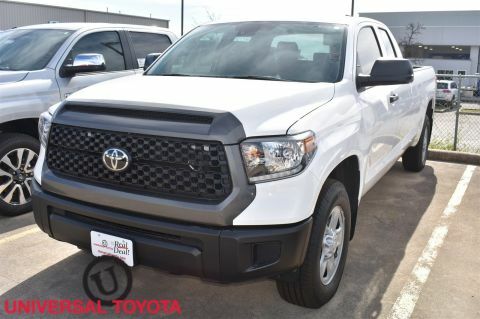 * Stop By Today *Come in for a quick visit at Red McCombs Universal Toyota, 12102 IH 35 North, San Antonio, TX 78233 to claim your Toyota Tundra!